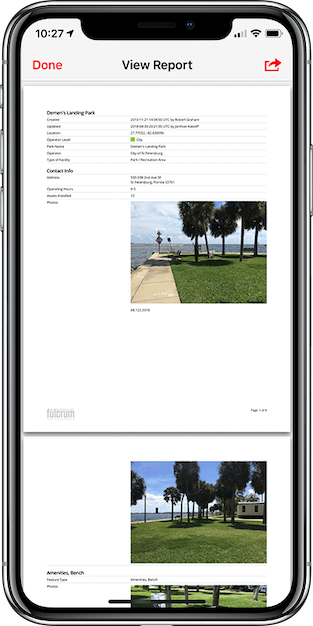 How to generate and share PDF reports in the Fulcrum for iOS app. From the iOS record creation/edit page. Select the report icon on the lower left corner of the record creation/edit page. To share the record report tap on the share icon in the upper right part of the record report page. You have several options with sharing the record PDF report. 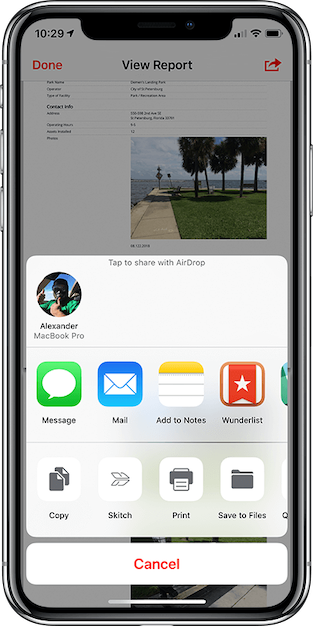 Messages and E-mail being the most popular, you can also share the report through Apple’s AirDrop, as well as, print the report. 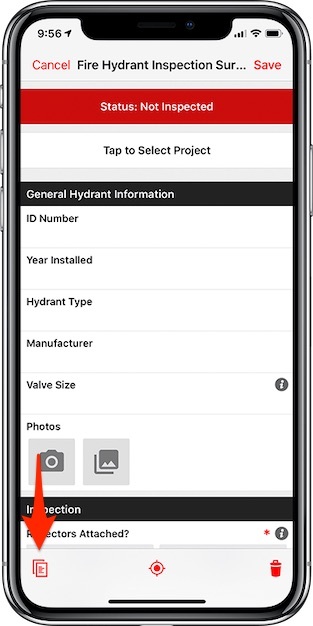 You may also be able to open the PDF file in another app on your device. The share option is something that is powered by the operating system and not Fulcrum. If you are not seeing a share option that you think you should it could be due to some security settings or possibly the app not having support for PDF files.